Following the recent vote to lift the ban on open homosexual members in the Boy Scouts of America, a number of churches across the country have announced that they will be cutting ties with the organization. Reports state that the majority of entities that charter with the Boy Scouts are either faith-based organizations or churches. However, some churches have now decided not to allow the Scouts to use their facilities any more as the organization no longer represents their moral values. Pastor Mike Shaw of the First Baptist Church of Pelham, Alabama is among those ending his alliance with the Scouts. He recently explained that his church could not in good conscience support the acceptance of sinful behavior. Pastor Tim Hester of Southeast Christian Church in Louisville, Kentucky met with his board of elders recently, which likewise decided not to renew its charter with the Boy Scouts. Hester noted, however, that the charter would be discontinued regardless of the results of the vote, but did not elaborate. Pastor Ernest Easley of Roswell Street Baptist Church in Marietta, Georgia said that his church would no longer support the Scouts either. The Southern Baptist Convention plans to vote next month on a resolution in regard to the Scouting policy, which may result in additional churches distancing themselves from the organization. 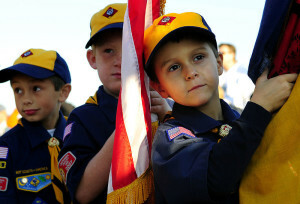 As previously reported, a number of Christian organizations are predicting a mass exodus from the Boy Scouts of America following last month’s decision.